QPR FC have long been associated with female football, running numerous teams and hosting International games at Loftus Road stadium. At QPR in the Community Trust the ongoing development of the grassroots women & girls game is hugely important. We deliver weekly sessions across our partnerships boroughs for all ages and abilities. During term times we deliver female only coaching sessions in around 20 venues per week and slightly less during the holidays. These include our successful Premier League satellites for players aged 11+, and more recently the introduction of our QPR Trust Wildcats project for our younger members. We want to see more female coaches and officials in the game, and as such we provide opportunities for our participants to attend courses and CPD events to encourage this growth. A number of these participants are now FA qualified and support the delivery of many of our QPR Trust programmes. We also support the development of new girl’s teams with our partner grassroots clubs through the QPR Trust Club Partnership programme, most recently Regents Park FC and Ruislip Rangers Youth FC. 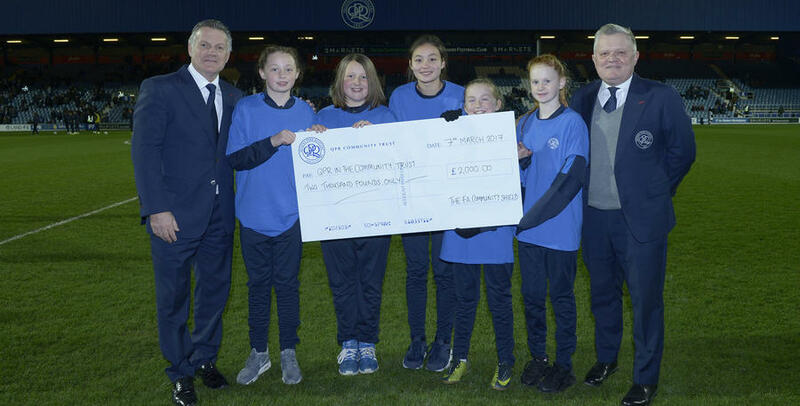 QPR Girls FC and QPR Ladies FC host our competitive club teams from the ages of 7 upwards, and each year the teams are honoured at a home match tied in with International Women's Day on 8th March.